EPHIWAVES Graphene does not act as a replacement for the Phione; instead, the two devices are complementary. Considering that we use the mobile when it is placed extremely close to our hearing system and, therefore, to all of our brain sensors. To protect ourselves from the radiation emitted, the protective device must be stuck to the mobile. Meanwhile, the Phione does not act as a replacement for PHIWAVES Graphene, given that its operating range is more limited. In other words, for proper and preventive control of electromagnetic radiation, we recommend carrying both devices. 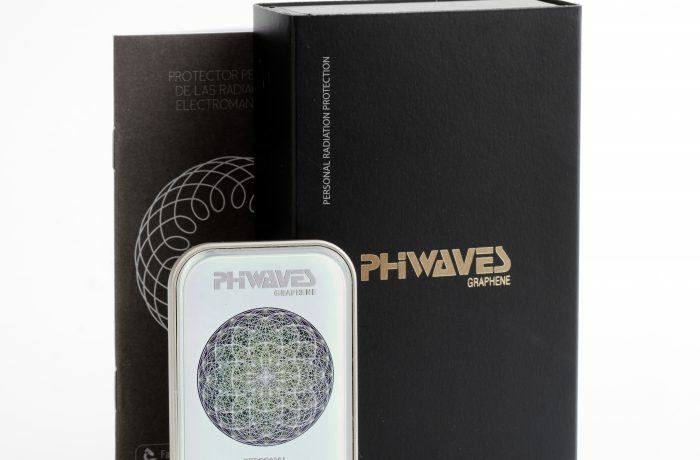 The PHIWAVES Graphene works better the closer it is to the body. The pockets of trousers, shirt, jacket, etc., are the ideal spot. We can also carry it in our wallets and bags. It is advisable not to place it in covers, bags or wallets made of natural leather, as this material acts like a radiation shield and decreases the performance of the device. If the PHIWAVES Graphene device has accidentally been exposed to water for a period of time (washing machine, swimming pool, etc. ), the device will continue to work properly (so long as its original structure is kept intact).